To start the Process, select the link to the left "Sign NDA." SellingRetaurants.com offers this exceptional turnkey Profitable Seafood Restaurant and Bar for Sale that is priced to Sell on the Border of South Los Angeles and North Orange County. 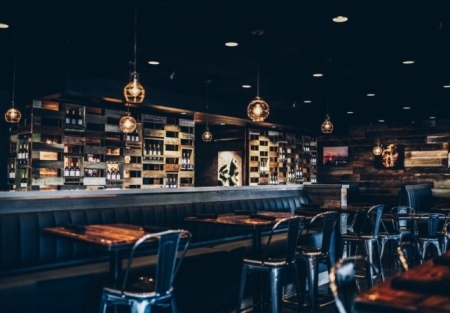 Don't miss out on this rare opportunity to step right into a Profitable Restaurant and Bar with high quality build out and interiors, including a rare Type 47 liquor license. The restaurant is approx 4,000 sf and seats more than 100, including a nice bar area and private dining area that seats more than 25 for private parties and special events. There is plenty of parking at this high traffic location with highly complementary businesses nearby. The sellers have established great pride of ownership here, but would prefer to sell this individual concept to focus on their rapidly expanding multi-unit franchise business back East, so their loss is your gain and you will likely step right into instant equity with a well-established track record of success. The sellers have also successfully negotiated a special conditional-use permit that allows them to remain open to 5am so there are tons of opportunities to grow this business even further. Speaking of foodies, this restaurant serves excellent food as well as good service in a trendy yet professionally casual environment. This absentee operated restaurant and bar with great atmosphere is a big crowd pleaser with great Yelp and TripAdvisor ratings. If you want to get into the California beach scene in a big way, in a unique and difficult location to find then this is it! The build-out alone makes this a beautiful restaurant deserving of the area and the clientele who frequent it. FINANCIALS: Annualized 2017 revenues are about $1,400,000 with double-digit profit margins. This means we used the profit and loss statement from July 2016 and annualized the numbers. This restaurant has operated since 2016. LEASE: Expires in 4 years, but there are two 5-Year Options. All-in Rent is $13,120. Inside Sq. Ft. is Apprx. 4,000 sf and seats more than 100. This is a highly confidential listing requiring each buyer to be qualified before details are released. The buyer must have a good credit score, net worth and plenty of restaurant experience and ownership.